A 36-year-old spacecraft that NASA once thought might be returned from space and put into the Smithsonian may instead soon resume its original mission thanks to the efforts of a private group. 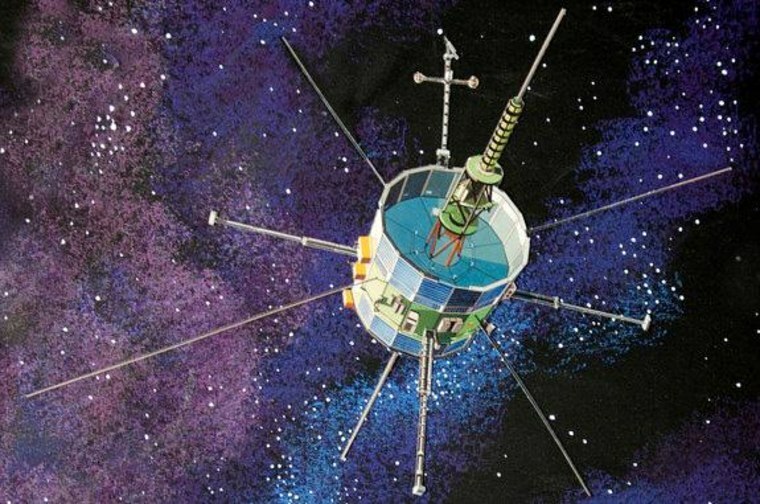 The International Sun-Earth Explorer 3 (ISEE-3) originally launched in 1978 to study solar wind before being diverted to chase after comets in the mid-1980s. Orbiting the sun ever since, it is now making its long-anticipated return to the vicinity of the Earth, where a newly-crowdfunded effort is gearing up to "reboot" the probe into service. On Wednesday, NASA announced it had signed an agreement with Skycorp, Inc. of Los Gatos, California, to allow the company and its partners Spaceref Interactive and the Space College Foundation to attempt to contact, and possibly command and control, the all-but-abandoned spacecraft. "We have a chance to engage a new generation of citizen scientists through this creative effort to recapture ISEE-3 as it zips by the Earth this summer," John Grunsfeld, astronaut and associate administrator for NASA's Science Mission Directorate, said in a statement. ISEE-3, which in 1978 became the first satellite to enter a halo orbit at a gravity-stable Lagrange point between the Earth and the sun, made history again in 1985 as the first probe to visit a comet. The repurposed ISEE-3, renamed the International Cometary Explorer (ICE), passed through the tail of Comet Giacobini-Zinner, and then repeated the feat a year later with the famous Halley's Comet. ICE was then redirected to study coronal mass ejections from the sun, before being decommissioned in 1997, and although it was still in space, donated to the Smithsonian. But armed with the knowledge from a 2008 data check that revealed all but one of the barrel-shaped spacecraft's experiments were still functioning, a private group stepped forward with a seemingly-simple plan: contact the ISEE-3 spacecraft, command it to fire its engines and re-enter a halo orbit near the Earth, and then resume its original 1978 mission. "If we are successful it may also still be able to chase yet another comet," the ISEE-3 Reboot Project team wrote as part of its crowdfunding campaign. To date, the effort has raised more than $140,000, $15,000 above their $125,000 goal. This is a condensed version of a story that appeared in CollectSpace.com. Read the entire story here. Follow CollectSpace.com on Facebook and on Twitter at @collectSPACE. Copyright 2014 CollectSpace.com.